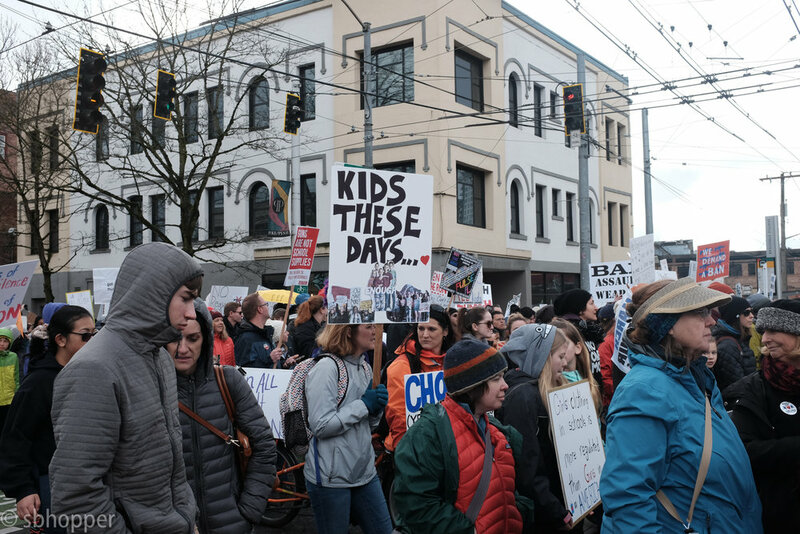 On Saturday 24 March 2018, tens of thousands* of people marched in Seattle in support of a nation-wide, student-led effort to demand that steps be taken to end gun violence. Their efforts and the marches were inspiring to follow and photograph. I can't remember anyone so effectively challenging the NRA or lawmakers who kill off any attempts to consider changes to gun control policy. 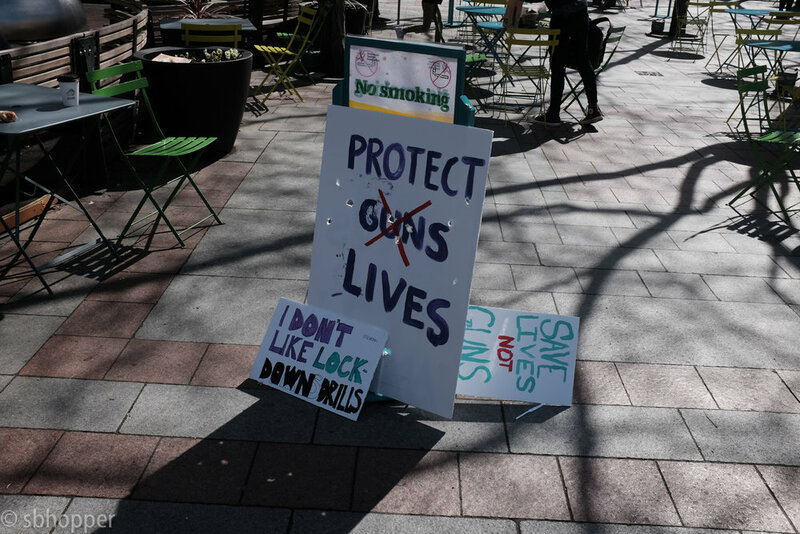 March For Our Lives, Seattle, 24 March 2018. The negative responses to the students' efforts were less inspiring. Predictably, claims that the students leading the way were paid crisis actors surfaced immediately after the Marjory Stoneman Douglas High School shooting. I'd like to think it's only a fringe group, connected by Twitter, that believes that claim. 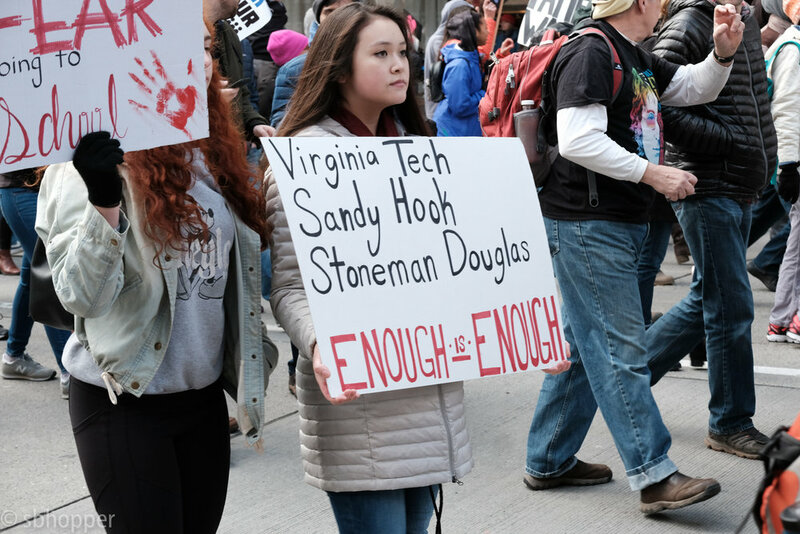 Others suggested that the students were being exploited by liberal groups, and that we should not let emotional teenagers have a voice in policy. That logic does not hold up well. Those students are leading with emotion, but they're also speaking with eloquence, clarity, determination, and maturity. Notes: 1) I used Capitol Hill Seattle Blog's estimate for the crowd size. It's not an official count, but Alex Garland and CHS cover just about every march and protest in Seattle. That's a lot of marches and protests. 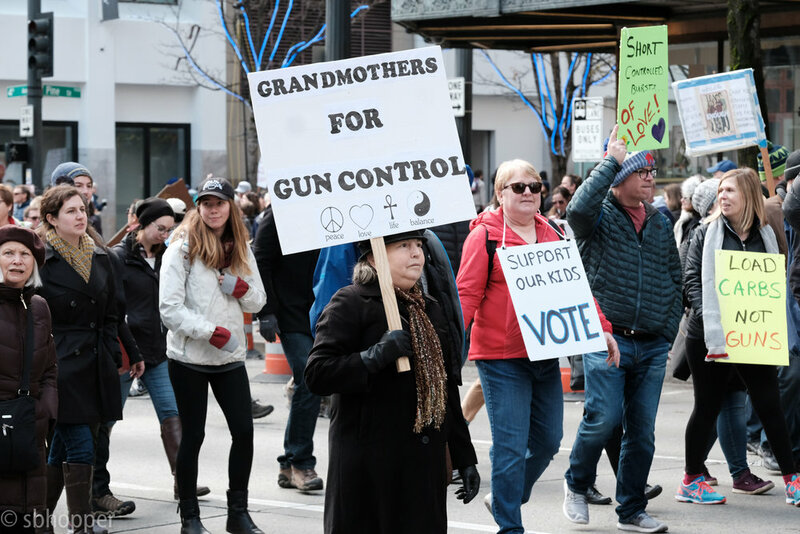 Their article about the march is great, you should visit that link. Alex Garland is a fantastic photojournalist who always captures compelling images and stories. 2) Seattle photographer Dylan Austin also wrote a great visual essay about the march, and he snapped a few images of some great musicians who played at the end. 3) I've shot at the NRA range in Northern Virginia. It was about five years ago. I think I had to sign up for a day pass. I'm not sure if that temporarily added me to the NRA's membership list. I have never contributed to the NRA, and I disagree with the NRA's policy objectives.